Girls born in Cleveland and Montana at 10:11 a.m. Saturday. camera (Cleveland Clinic News Service ) Baby Hazel Grace was born at 10:11 a.m. on 12/13/14 to parents Leisha Campbell and Shawn Zimmerman of Cleveland, Ohio. 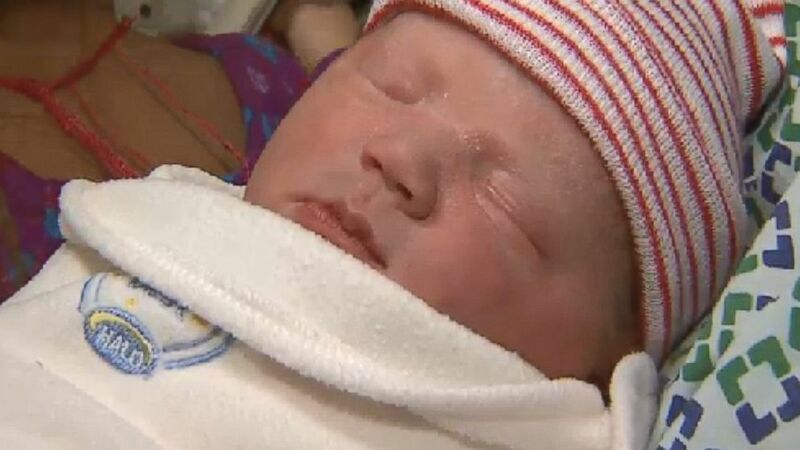 Two baby girls have defied the odds with a very unusual birth date. At 10:11 a.m. on Saturday, Hazel Grace was born at a hospital in Cleveland and Quincy Kessler was born at a hospital in Billings, Montana, making their birth date and time 10:11 12/13/14. Hazel is the daughter of Leisha Campbell and Shawn Zimmerman, of Cleveland, said hospital spokeswoman Sabrina Powers. 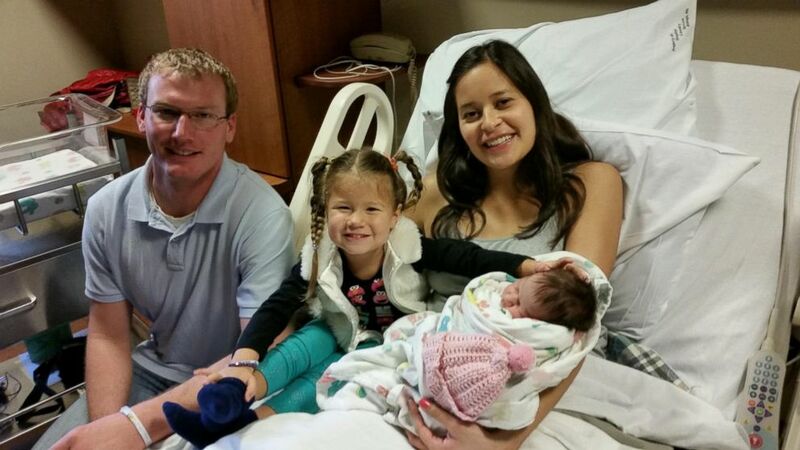 The couple has three other children: Aubree, Adalynn, and Josalyn. "We knew she was going to be born today [Saturday], we just didn't know it would be at 10:11 a.m.," Campbell said in a statement. "Everyone is telling us we should play the lottery. We feel this is a lucky day and are excited to get family photos with Santa." Both baby and mother are doing well, Powers said. Zimmerman did not return ABC News' request for comment. 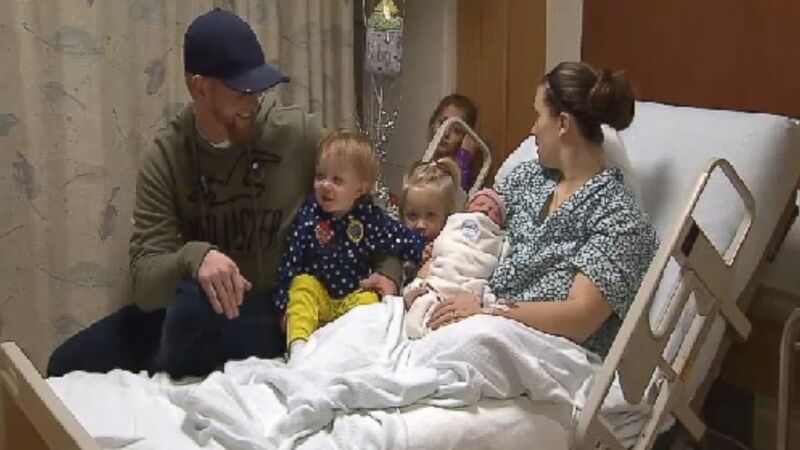 (Cleveland Clinic News Service ) Baby Hazel Grace was born at 10:11 a.m. on 12/13/14 to parents Leisha Campbell and Shawn Zimmerman of Cleveland, Ohio. In Montana, Quincy is preparing to go home with her parents, Trenton and Melida Kessler. "It's pretty exciting," said the girl's mother. "That's a really special birthday to have." Kessler and Quincy are both doing well. The couple has one other daughter. (Courtesy Melida & Trenton Kessler) Quincy Kessler was born at 10:11 a.m. on 12/13/14 in Montana.